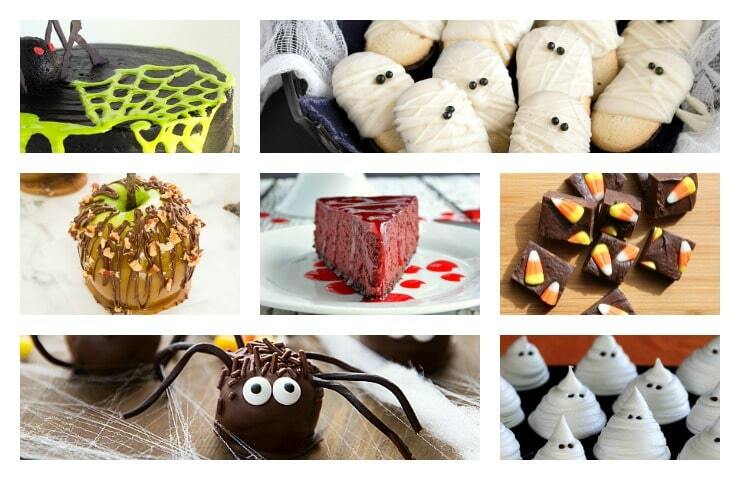 20 Fabulous Treats for Halloween – These amazing Halloween treats are delicious enough to satisfy all the mischievous ghosts and ghouls who come knocking at your door. With these recipes there is something for everyone. My son isn’t a fan of Halloween. Halloween in England is very different than American Halloweens. It’s scary and costumes (even for children) are meant to be just that. So, my little boy always opted out. We’d go to the store and I’d take him to the costume section and see if he could bare to look at the terrifying masks on the shelves. If not, we’d know there was no way he could trick or treat with those masks being attached to walking talking bodies. So, because he’s not a big fan of the day, I never get too into it. Sure, I’ll make him some pumpkin filled sticky buns or chocolates, but that’s as far as I usually go. Just because we don’t do it just yet in our house, doesn’t mean you won’t be looking for some treats to make in your’s. So, I’ve put together a list for you from all different bloggers so that you’ll have some great recipes all in one place. 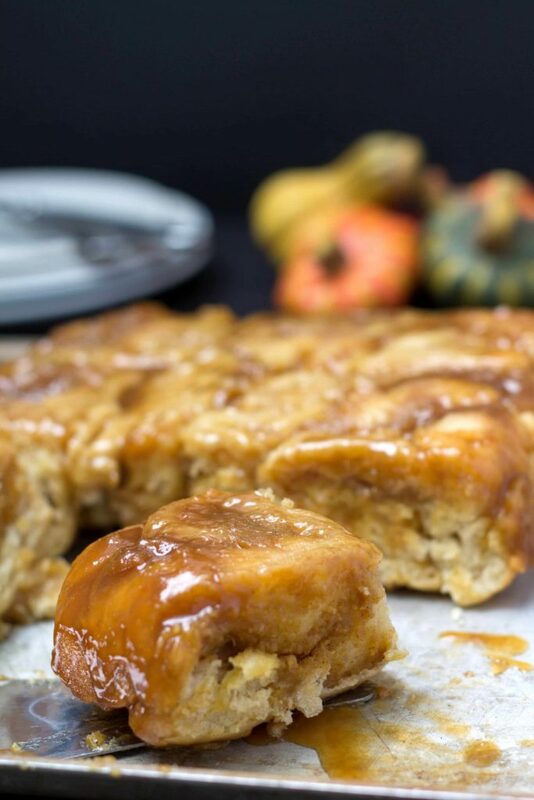 My recipe for Pumpkin Pie Sticky Buns is the perfect Halloween breakfast! My son can’t wait for Halloween just so I make them again! Get the recipe here. Want to make something homemade for your kids this Halloween? 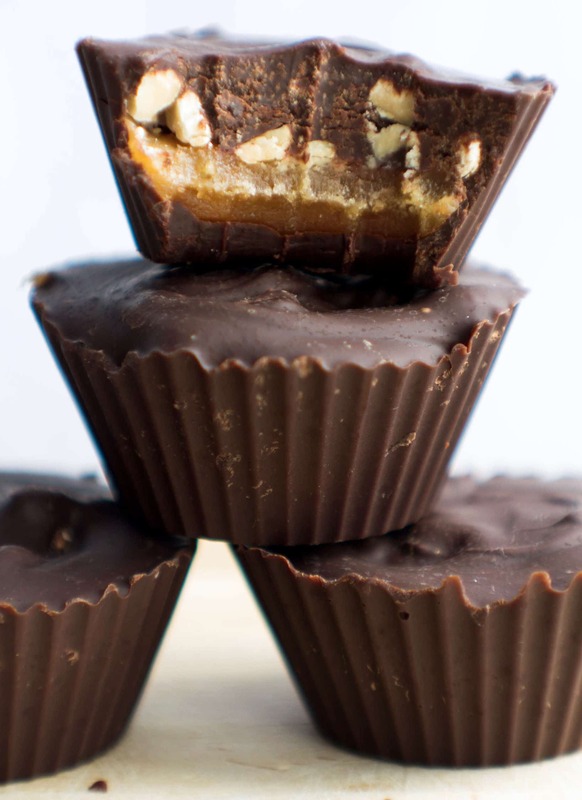 My recipe for Homemade Snicker Cups are sure to please! Get the recipe here. These super easy triple-chocolate “mummy” milano cookies recipe from Chelsea’s Messy Apron are the perfect treat to bring to a Halloween party! Get the recipe here. 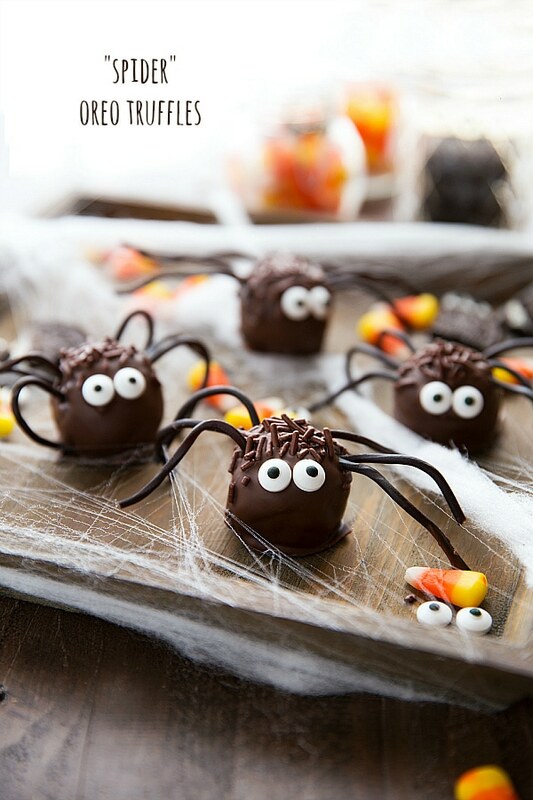 This recipe for Easy Spider Oreo Balls also from Chelsea’s Messy Apron, are Simple OREO Ball “Spiders,” an easy Candy Corn Punch, and a fun way to decorate your table this Halloween! Get the recipe here. 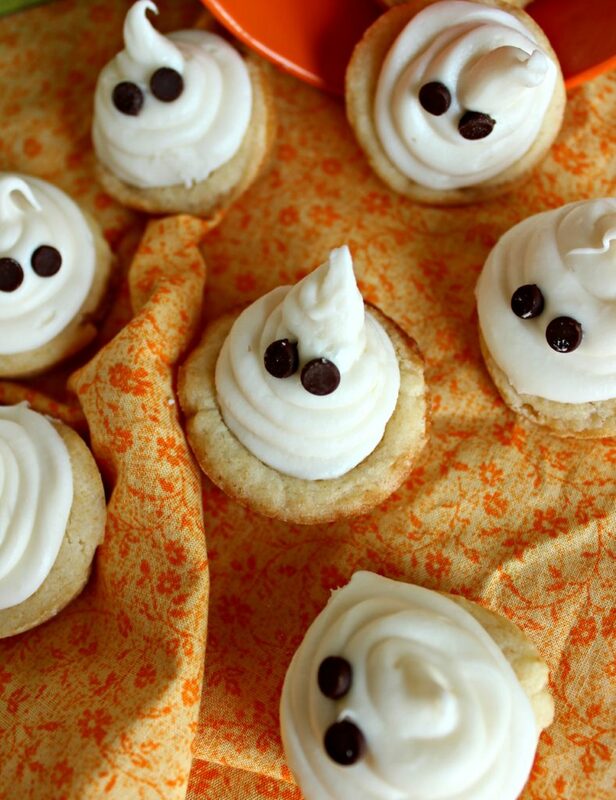 This recipe for Ghost Cookie Cups, again from Chelsea’s Messy Apron, were too cute to pass up! 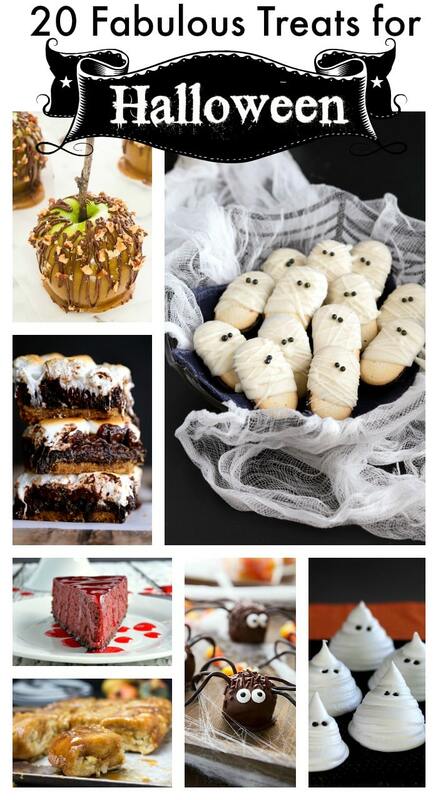 This recipe is perfect if you’ve put off making treats for a Halloween event. There are only 6 ingredients and minimal time required. And this dessert is dressed to impress! Get the recipe here. This recipe for Salted Caramel Apple Snickers Cake from Half Baked Harvest is a masterpiece of a cake! Who wouldn’t love this thing of beauty on their table? Get the recipe here. 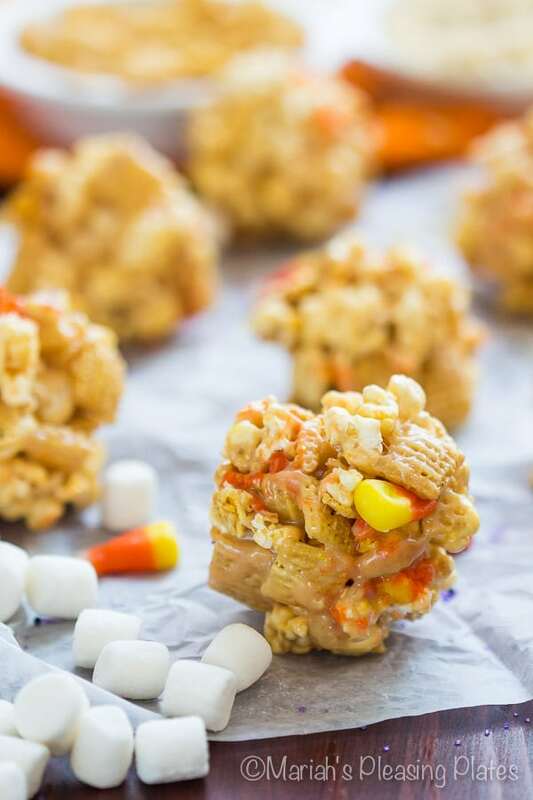 This recipe for Halloween Peanut Butter Popcorn Balls from Mariah’s Pleasing Plates are a fun and easy treat! Honey Nut Chex, Rice Krispies and Popcorn are coated in a sticky sweet, peanut butter marshmallow coating and then mixed with Reese’s Pieces and candy corn! Get the recipe here. 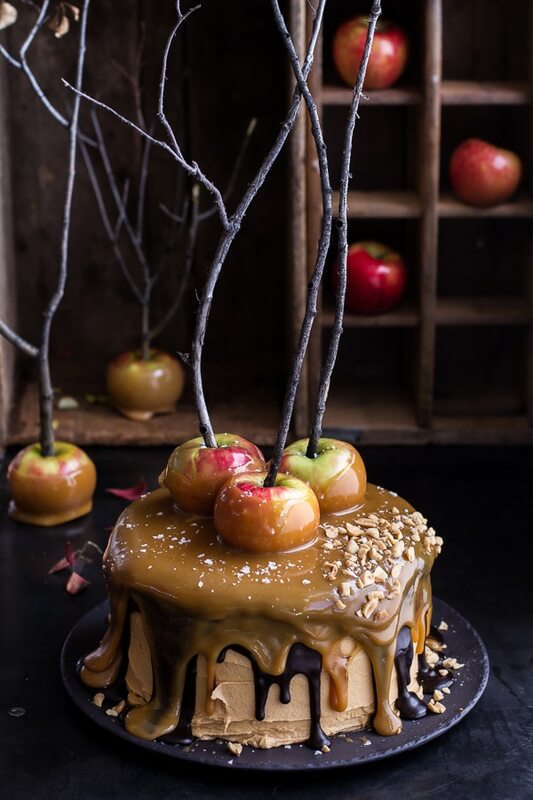 This recipe for Ultimate Caramel Apples from Cooking Classy are a beautiful, indulgent, way to dress up your Halloween menu. Get the recipe here. This recipe for Bloody Good Cheesecake Recipe from Sugar Dish Me is the spookiest Halloween treat that is sure to be the scary centerpiece of your party! 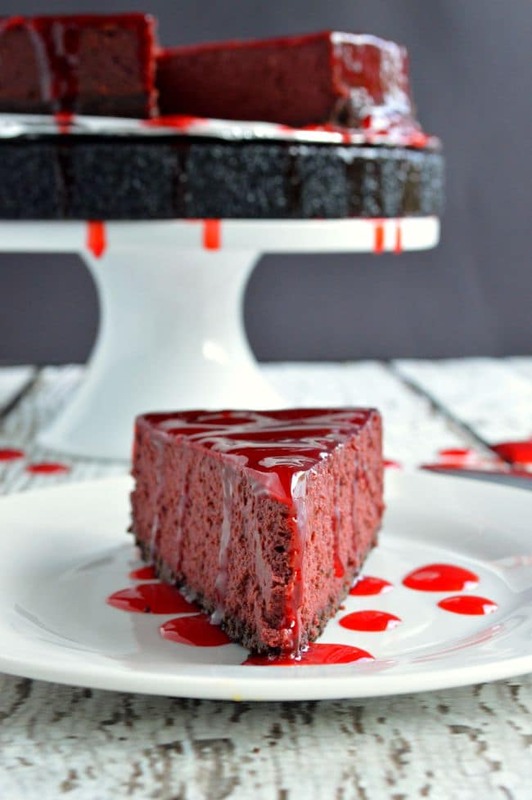 Red velvet cheesecake is baked on a chocolate crust and covered in a blood red homemade gel frosting. Get the recipe here. 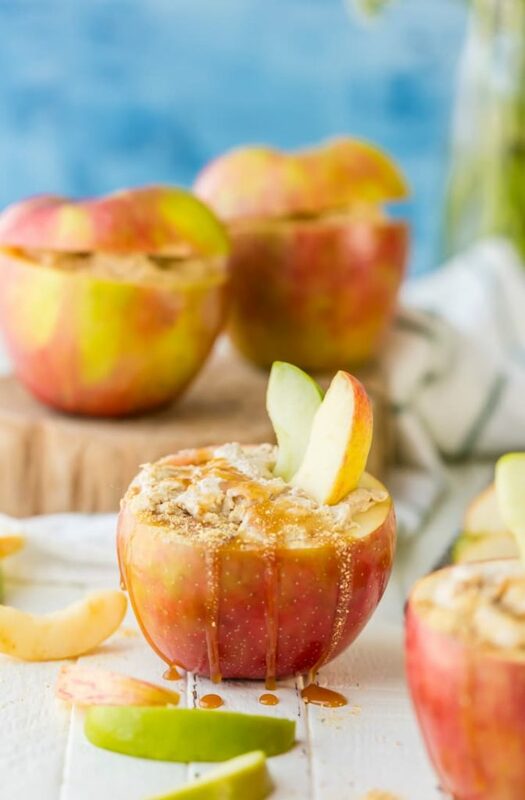 This gorgeous recipe for Individual Caramel Cheesecake Apple Dip from The Cookie Rookie are served in Apples and made with only three ingredients! A must try this season! Get the recipe here. 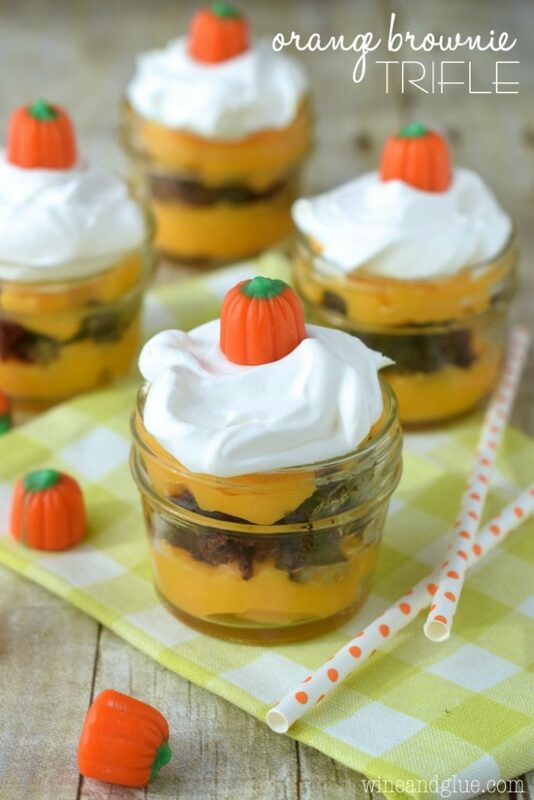 This Orange Brownie Trifle recipe from Lisa at Wine & Glue is so super easy and it’s the to die for combo of orange and chocolate, which also just so happens to make it perfect for Halloween! Get the recipe here. 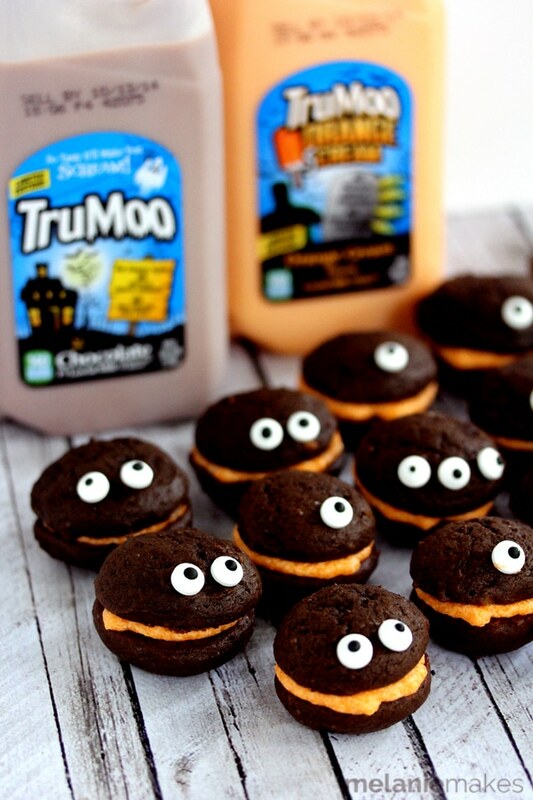 This recipe for Mini Monster Chocolate Whoopie Pies with Orange Cream Filling from Melanie Makes couldn’t be easier to create. 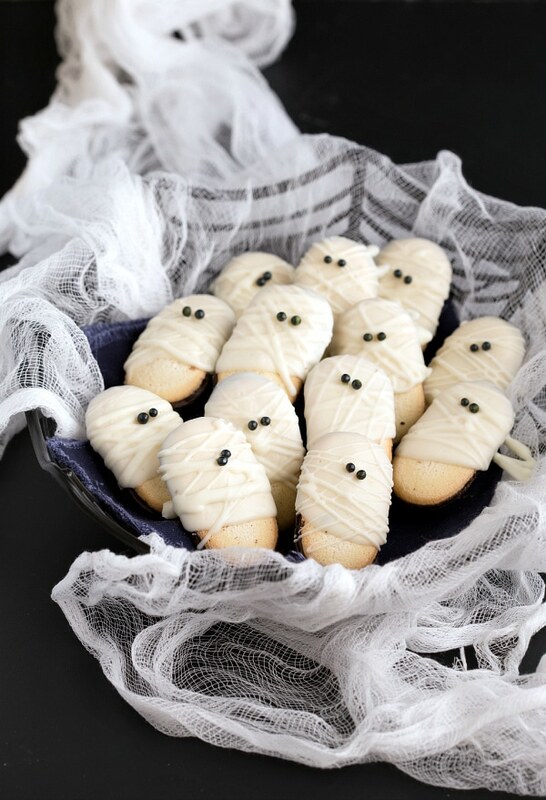 They are the perfect Halloween classroom party treat! Get the recipe here. 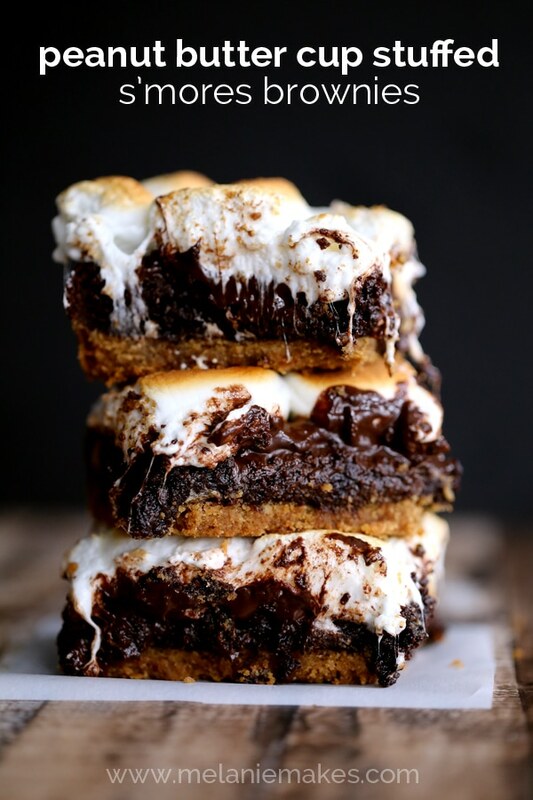 These drool worthy brownies, also from Melanie Makes are a great addition to any Halloween gathering! Get the recipe here. 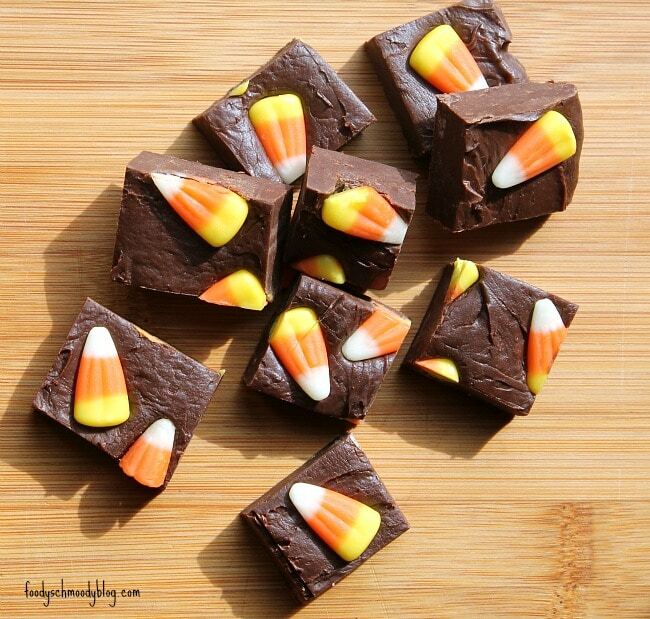 This recipe for Candy Corn Fudge from Christine at Foody Schmoody, I’m just Cooking is a quick and easy fudge with a fun nod to Halloween. Get the recipe here. 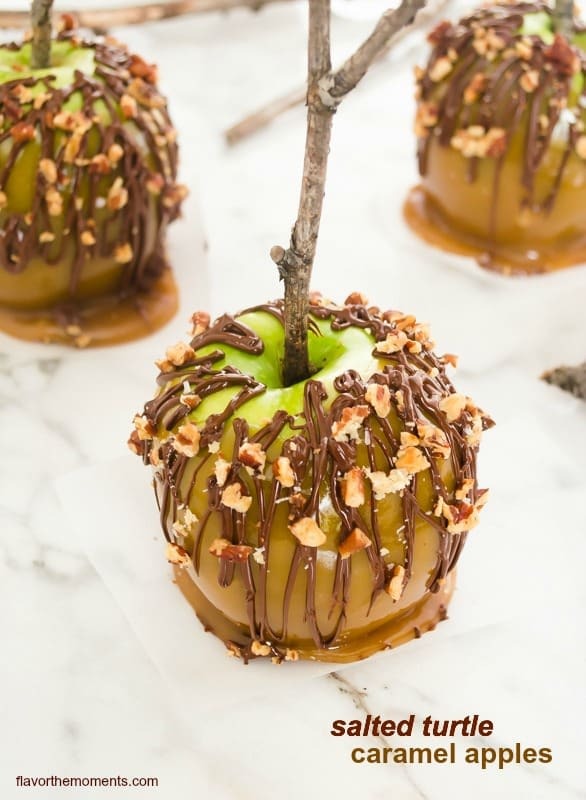 This recipe for Salted Turtle Caramel Apples from Flavor the Moments are dipped in homemade caramel, then drizzled with melted chocolate with a sprinkling of toasted pecans and flaky sea salt. 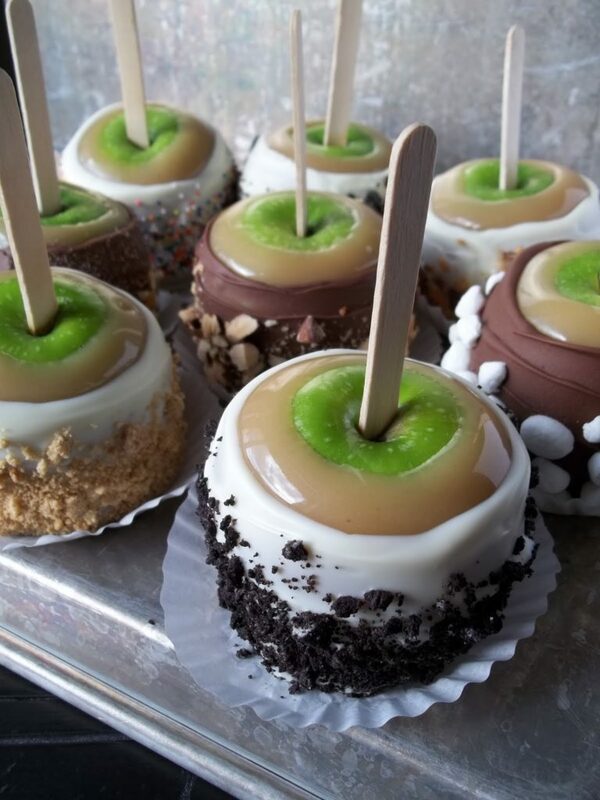 These caramel apples will give you your candy fix the homemade way! Get the recipe here. 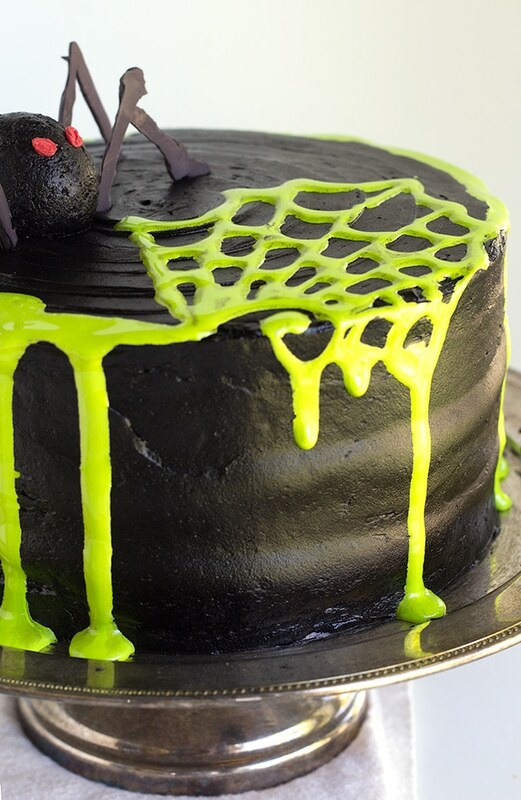 This recipe for Spooky Spiderweb Cake from Cookie Dough and Oven Mitt is perfect for any Halloween gathering! Get the recipe here. 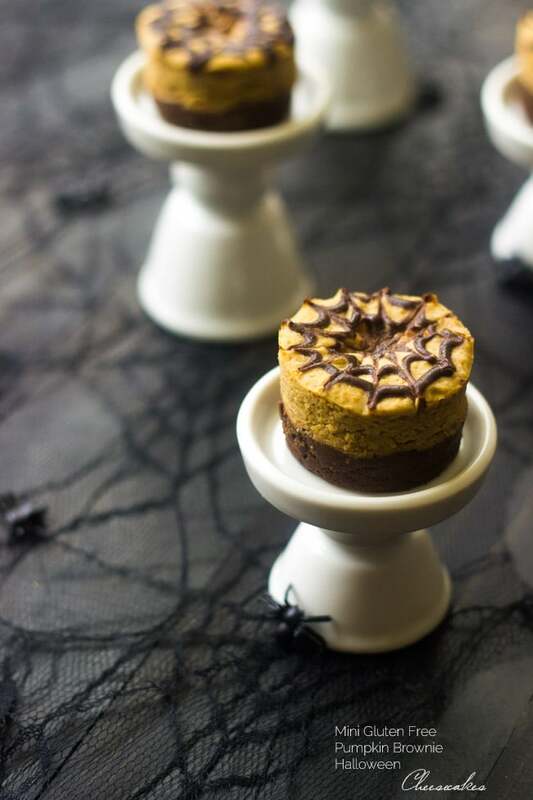 This recipe for Pumpkin Mini Cheesecakes from Food Faith Fitness makes gluten free brownies that are only 130 calories! They’re quick, easy and perfect for Halloween! Get the recipe here. 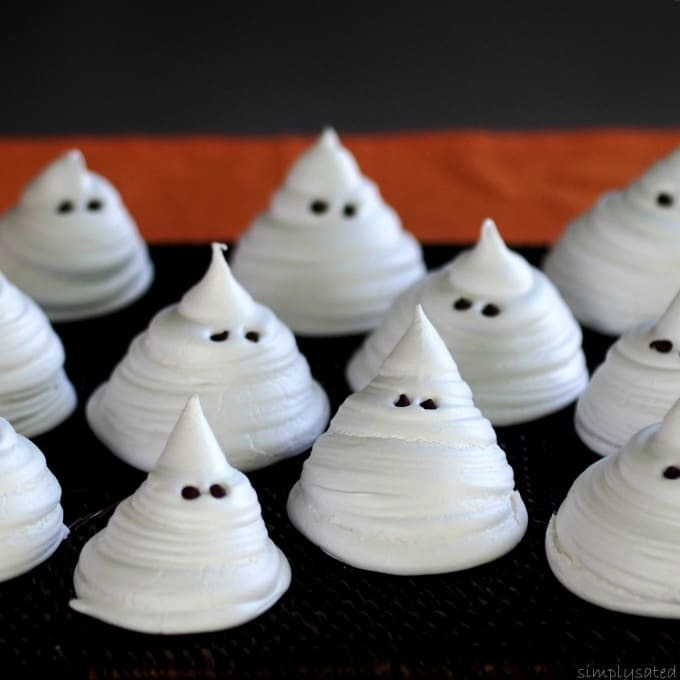 The recipe for Meringue Ghosts from Simply Salted are a really fun Halloween treat. Get the recipe here. 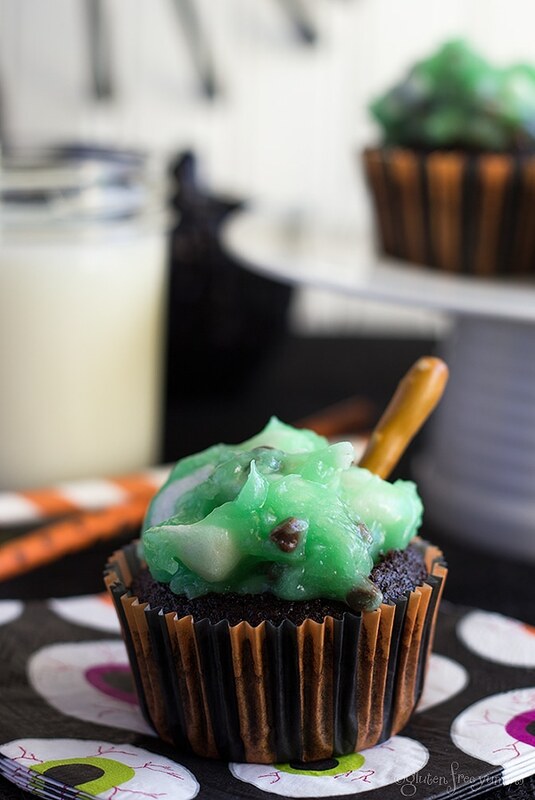 This recipe for Witches’ Brew Cupcakes from Gluten Free Yumms are a fun, gluten free treat anyone can enjoy. Get the recipe here. 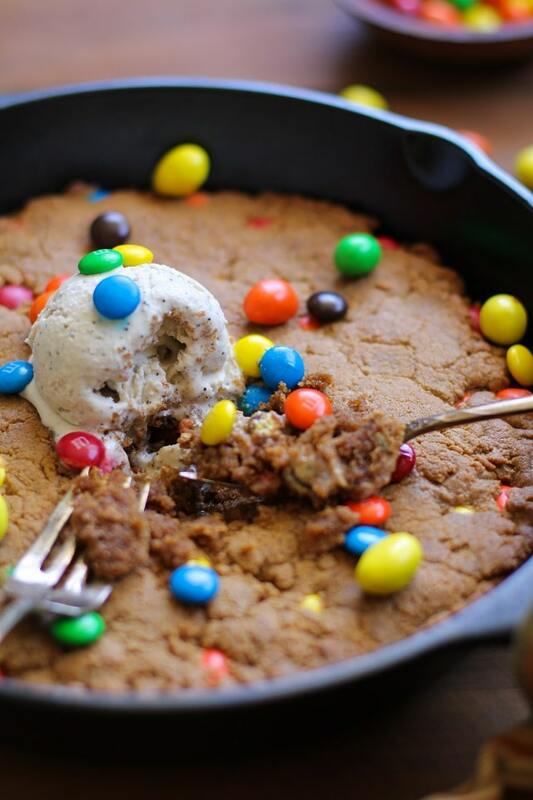 This recipe for Flourless Peanut Butter Skillet Cookie from The Roasted Root looks absolutely divine and would be a great addition to your Halloween festivities. Get the recipe here. Halloween is my FAVORITE!!! This collection is awesome – that cake from Half Baked Harvest is one of my all-time faves. Thanks for including me!